Whey Protein Isolate (WPI) and Australian high oleic peanuts. 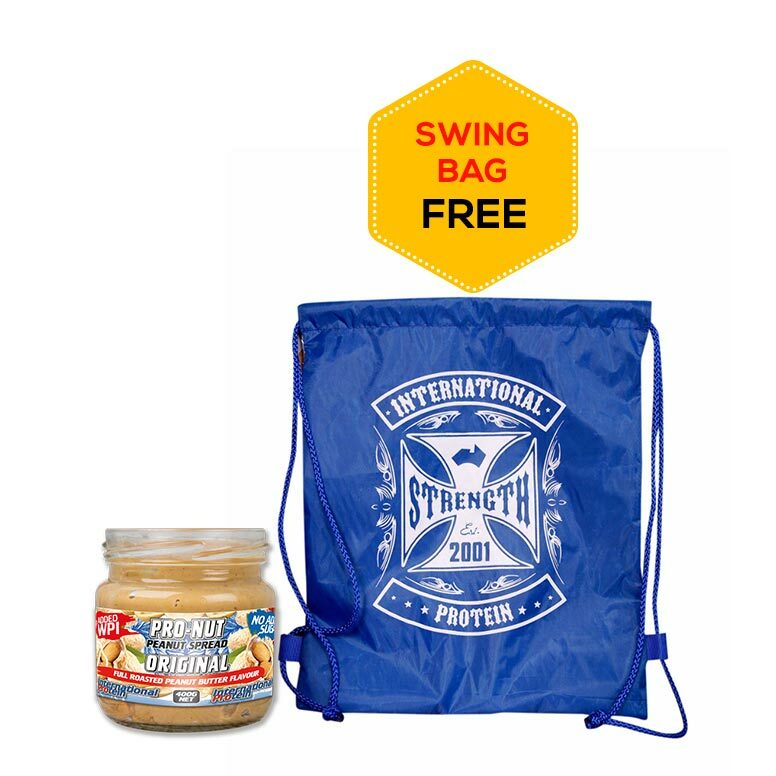 International Protein’s Pro Nut High Protein Nut Spreads have a smooth. Pro Nut High Protein Spread comes in Original full roast flavor peanut spread and Ultimate chocolate peanut butter flavor. These amazing tasting new spreads are made using protein from Whey Protein Isolate (WPI) and Australian high oleic peanuts, which research shows are healthier than standard peanuts. International Protein’s Pro Nut High Protein Nut Spreads have a smooth, non-gritty texture and don’t contain added sugar. 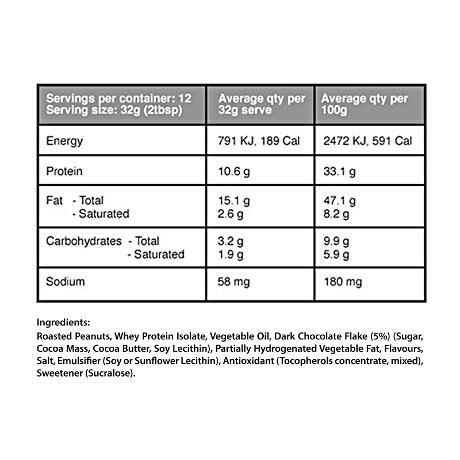 On its own, every 2 tablespoons (32g) serve of Pro Nut contains over 10g protein so it’s the perfect protein partner for any kind of food, and makes the perfect Protein Partner for International Protein’s High Protein Pancake Mix. No Added Sugar (Original Flavour). Made with Real Chocolate (Chocolate Flavour). Original: Roasted Peanuts, Whey Protein Isolate, Vegetable Oil, Partially Hydrogenated Vegetable Fat, Natural Sweetener (Xylitol), Salt, Natural Flavour, Emulsifier (Soy or Sunflower Lecithin), Antioxidant (Tocopherols concentrate, mixed). On its own, each 2 tablespoon (32g) serve contains over 10g protein so it’s the perfect protein partner for any kind of food. The Peanut butter is nice it spread nicely on the toast.